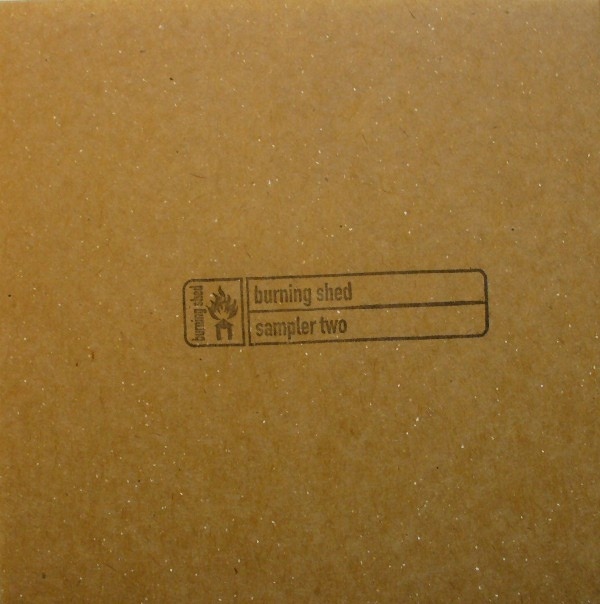 Burning Shed is an independent U.K. label that tries its best to span many genres. The label’s second sampler puts an emphasis on chilling out as ambient is the forte with a few notable exceptions. Out of seventeen tracks, thirteen are ambient-laced mellow tone excursions that are ear candy for the modern age. The duo of Tim Bowness and Peter Chilvers is represented by two tracks, including a live version of the subtle ballad “Days Turn into Years.” Their work is highly reminiscent of the best of David Sylvian’s pastel pieces but without all the gloominess. Anne Clark and Martyn Bates deliver “Autumn,” a precious acoustic piece that is embossed with a recorder and cello backing. “The Shed” by Quoit is purely a techno workout in the style of Aphex Twin that has the sudden starts and stops of a Tomb Raider game session while on any modern drug of choice. The most disturbing din on the disc is created within G.P. Hall’s “Fahrenheit 451,” a short incendiary track that showcases hammered guitars and wailing sirens. Darkroom’s “Excerpt (from Fallout 3)” is a spacious soundscape that relies on thin washes of metallic wind and blurry voices to create a dizzying tone. Closing out the disc is Centrozoon’s “Golden Lamb Finale,” which is lush and irritating exercise in distortion that is pretty effective within its own assigned parameters. Overall the label has an ardent handle on displaying the best of its high art roster in this format.